Websites are great. Advertising is great. Pretty pictures are great. We use these tools and many more to help educate buyers and sellers, but this is just the start.These tools do not sell or buy homes, experienced real estate professionals do. Research the market to estimate a listing price supported by recent sales and other competitive listed properties. Identify the positives of your home and discuss what might be done to enhance the home for potential purchasers. Discuss and implement a marketing plan appropriate to the home/market. Communicate to you input from home showings, other Realtors, and trends or changes in the market that might impact your home. Negotiate a contract that recognizes your goals and manages the sale process through closing,including inspections, appraisals and financing. Our real estate professionals are backed up by a hard working and experienced on site management and staff. To assist in the marketing of your home, Intercoastal Realty is open and staffed 7 days a week. Selling Your Home, for us it’s personal. 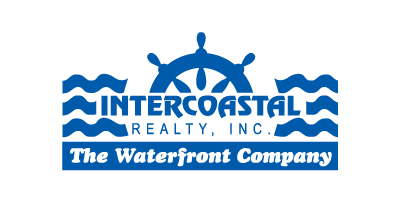 Intercoastal Realty—we work and sell where you live! With hundreds of years of local experience, Intercoastal Realty’s team of knowledgeable, professional Realtor associates educate buyers and sellers to the changes in our one-of-a-kind real estate market. Our team approach means we work together and with the entire real estate community to find the right buyer for your home. Intercoastal Realty’s professionals are also the best guides to assist you in looking for a new home, a condominium, a townhome or just a home for your yacht. NEXT: What to do first!